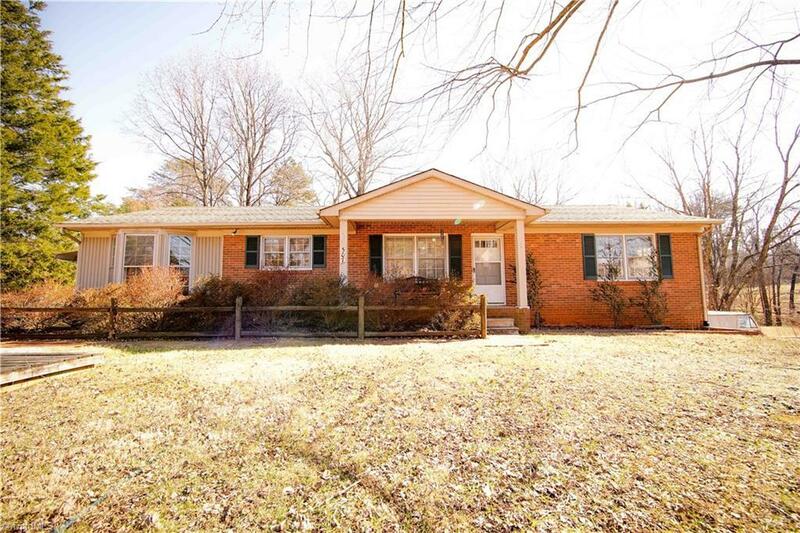 3 bdrm 2 bath brick ranch home with full basement nestled in Kernersville on 2.26 acres. No HOA. Minutes to Kernersville Medical Center and I 40. Lots of potential to make this home your own! 2 fireplaces in main living areas of the home. Quiet dead end street with lots of privacy with mature landscaping. Sit in the sunroom and enjoy the beautiful view!! !